Introduction: The current study evaluated Iran’s ranking in health policy research compared with the world and with countries of West Asia and North Africa based on the Scopus database. Methods: The present review considered 2 criteria for ranking: (1) the number of indexed papers, and (2) citations to the papers in Scopus. Changes in Iran’s scientific ranking based on both indicators from 2002 to 2016 were compared with those of other countries. Results: In general, Iran’s ranking in the world had a relatively mild growth based on both indicators. Iran achieved its most desirable rankings in the based on number of papers in the year 2014 with the ranking of 19 and in the year 2011 with the ranking of 25 based on the number of citations. Iran ranked much higher based on the number of papers in West Asia and North Africa, going from 5th place in 2002 and 10th place in 2003 to first place in the region in 2014. Based on number of citations, Iran ranked second in the region in the year 2016. Conclusions: In recent years, the status of research in the field of health policy in Iran has advanced. Efforts to index all Iranian health policy journals in the Scopus database and to increase scientific collaborations and financing can improve the position of Iran’s scientific ranking in terms of number of articles and citations in the field of health policy. Ahmadi B, Farzadi F, Alimohammadian M. Women’s health in Iran: issues and challenges. Payesh. 2012;11(1):127-137. [Persian]. Collins C, Green A, Hunter D. Health sector reform and the interpretation of policy context. Health Policy. 1999;47(1):69-83. doi:10.1016/S0168-8510(99)00003-2. Buse K, Mays N, Walt G. Making health policy. McGraw-Hill Education; 2012. Collins C, Hunter DJ, Green A. The market and health sector reform. J Manag Med. 1994;8(2):42-55. doi:10.1108/02689239410059633. 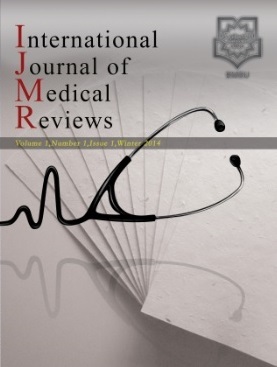 Hashemian SMR, Farzanegan B, Fathi M, et al. Stress among Iranian nurses in critical wards. Iran Red Crescent Med J. 2015;17(6):e22612. doi:10.5812/ircmj.22612v2. Vahedian-Azimi A, Hajiesmaeili M, Kangasniemi M, et al. Effects of Stress on Critical Care Nurses: A National Cross- Sectional Study. J Intensive Care Med. 2017:885066617696853. doi:10.1177/0885066617696853. José Luiz C. de Araújo Jr, Maciel Filho R. Developing an operational framework for health policy analysis. Rev Bras Saude Mater Infant. 2001;1(3):203-221. doi:10.1590/S1519-38292001000300002. Doshmangir L, Mostafavi H, Rashidian A. How to do Policy Analysis? A View on Approaches & Modes of Policy Analysis in Health Sector. Hakim Health Sys Res. 2014;17(2):138-150. Tarighat Monfared MH, Akhavan Bebahani A, Hasanzadeh A. Principles and basis of the national health policy. Tehran: The Office of Social Studies Majlis Research Centre (MRC) Publication; 2008. [Persian]. Osareh F, Wilson CS. A comparison of Iranian scientific publications in the Science Citation Index: 1985-1989 and 1990-1994. Scientometrics. 2000;48(3):427-442. doi:10.1023/A:1005648723433. Sabouri AA. Research report status of Iran in 2002. Rahyaft. 2003;28:87-95. [Persian]. Osareh F, Marefat R. The growth of scientific productivity of Iranian researchers in Medline. Rahyaft. 2005;35:39-44. [Persian]. Radmard AR, Khademi H, Azarmina P, et al. Iran’s biomedical sciences’ research output in 2003: A bibliographic analysis of Medline and Excerpta Medica databases. Arch Iran Med. 2005;8(3):180-183. Moin M, Mahmoudi M, Rezaei N. Scientific output of Iran at the threshold of the 21st century. Scientometrics. 2005;62(2):239-248. doi:10.1007/s11192-005-0017-5. Habibi G, Rashidi A, Feldman MD. Emerging concerns about Iran’s scientific and medical future. Lancet. 2006;368(9540):985. doi:10.1016/S0140-6736(06)69403-8. Habibzadeh F, Vessal K. Scientific research in Iran: forgotten factors. Lancet. 2006;368(9546):1494. doi:10.1016/S0140-6736(06)69635-9. Saadat SH, Izadi M, Aslani J, Ghanei M. How well establishment of research plans can improve scientific ranking of medical universities. Iran Red Crescent Med J. 2015;17(2):e18269. doi:10.5812/ircmj.18269. Six report on international comparative performance of UK research base 2009. http://www.bis.gov.uk/assets. Published 2012. Persson O. Are highly cited papers more international? Scientometrics. 2010;83(2):397-401. doi:10.1007/s11192-009-0007-0.